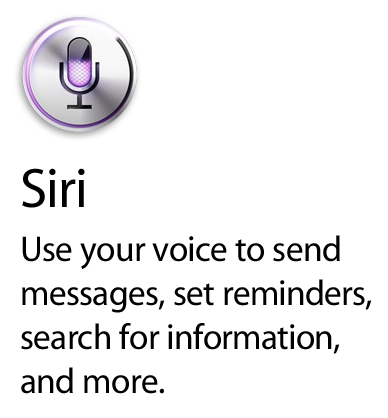 After the launch of iPhone 4S with the powered of Siri feature many people are enjoying with it and people always try to ask questions to Siri to get their relevant answers, but the question is does iPhone 4S's Siri always gives correct and perfect answers to its users? The answer is NO. Recently a strange incident has occurred with the 12 year old young boy named Charlie Le Quesne when Siri give him an answer with the abuse and slang language using the word "Shut The F*** Up", yes you have heard it correct iPhone 4S Siri’s answer was that. According to the report from Sun Magazine, the 12 year old young boy Charlie Le Quesne with his iPhone 4S asked Siri the question “How many people are there in the world” and the Siri’s answer was "Shut the f*** up, you ugly t***.” The 12 year old young child's mother named Kim Le Quesne claims that she was totally shocked when heard that abusive words from Siri and she even can’t believe that Siri would give such a statement. According to Kim Le Quesne his child was using a demo version of the iPhone 4S and has used the Siri feature to asked, the demo version was being used in a Tesco retail store and the report says that Staff of Tesco had apologized to her for that particular incident and Tesco company has also launched an investigation and will give back the iPhone device to Apple for diagnostic tests. What do you guys has to say about this funny situation? Has this incident ever happened with your iPhone 4S Siri Smartphone?